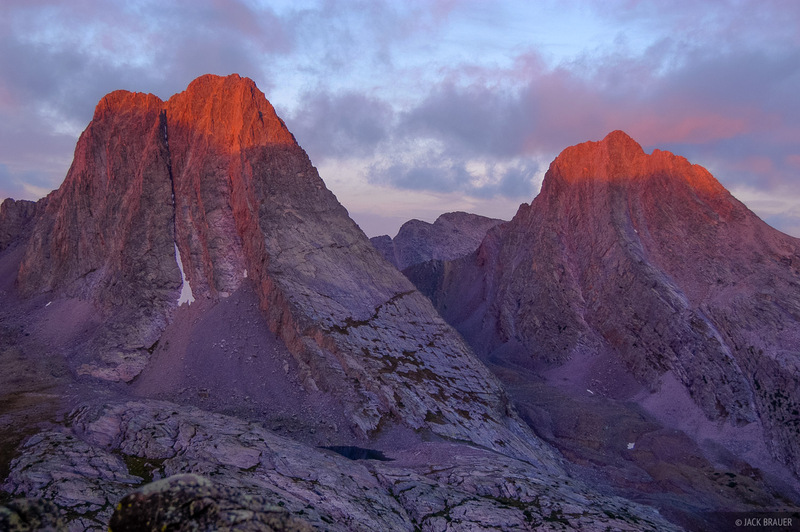 The first rays of the morning sun illuminate the summits of Vestal and Arrow Peaks in the Grenadier Range, Weminuche Wilderness - August. On this particular morning, I had the rare pleasure of taking photos out the door of my tent while cozy in my sleeping bag! Photo © copyright by Jack Brauer.